LISMORE Quad's newest addition, a large-scale sculpture, is an ode to the town and its people and recognises the trauma suffered by the 2017 floods. Two interactive shade sculptures Woven and Lismore Light Gardens are the winners of the inaugural 2018 Innovate Situate Southern Cross University Design Prize. Woven is the winner of the industry professional category. 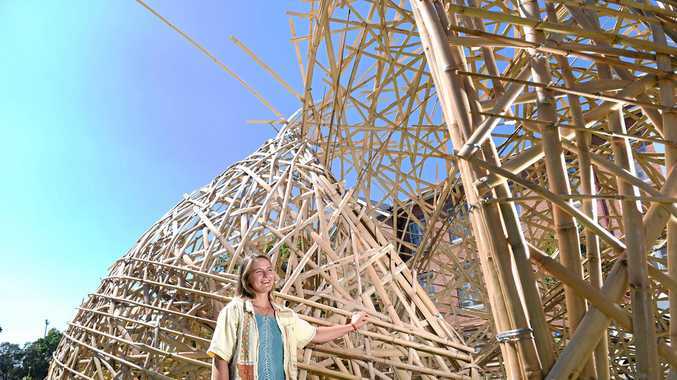 The clasping hands-like structure made of bamboo is by Lismore artist Katie Stewart and Mercurio Alvarado Mendez in collaboration with Sydney-based international bamboo collective Cave Urban. Miss Stewart has worked with Cave Urban on several projects including the Ian Potter Wild Play Garden in Sydney's Centennial Park. 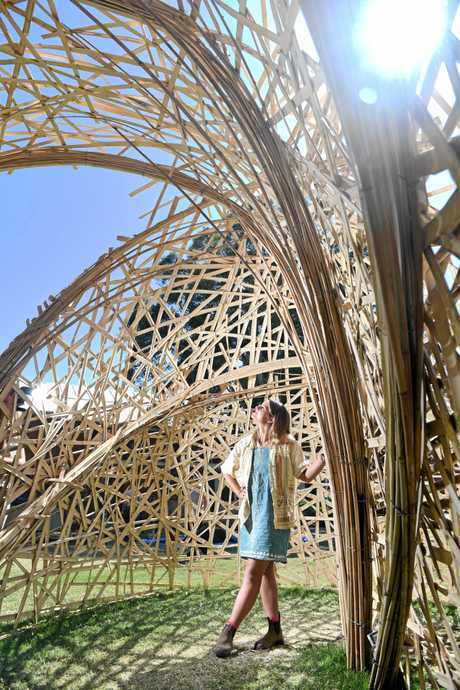 Referencing the many helping hands that were critical in the traumatic aftermath of the 2017 Lismore floods, Woven's 8m x 4m bamboo structure evokes two intersecting cups, drawing on the human hand as inspiration. "Woven is inspired by gesture and the natural structures we, as humans, can create with our bodies,” Miss Stewart said. "Its form evokes two bodies entwining and draws upon the human hand as inspiration. Winner of the student category Lismore Light Gardens, a permaculture food garden growing in a pallet pavilion, is a collaboration of three Southern Cross University students from the engineering and creative arts disciplines - (civil engineering student Bailey Parton and art and design students Beki Davies and Robyn Saurine). Light Gardens is a three-tiered triangular pallet pavilion about two-metres tall that doubles as a living garden. Each pallet structure houses a permaculture food garden within the bottom cube which will grow, mature - and perhaps bear fruit - over the course of the structure's three-month life in The Quad. 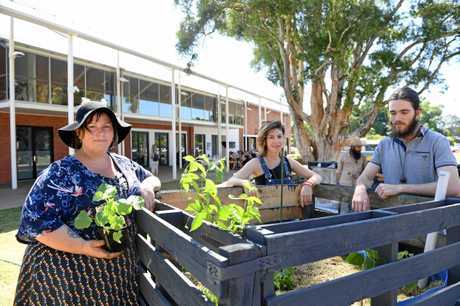 The students said the aim behind the piece was to use second-hand materials and promote sustainability, with the idea to harvest the produce in a few months time for a picnic. The community has gotten behind the students' concept. "The pallets have been donated by Norton's Transport, Lismore Hydroponics, Bunnings and Norco. The rock and soil is from the Richmond Sand, Gravel & Landscaping and the seedlings have been purchased or donated from local suppliers then propagated over the last couple of months,” said Beki. Team BBR was mentored by Dr Stephen Garrett, head of Art and Design at Southern Cross University, and engineering lecturer Mr Ben Garnock. The Prize captures Council/SCU partnership to bring the Quad to life.” said Ben Roche, SCU vice president (engagement) at Southern Cross University.